Imagine getting compensated for a work injury that you might be partially responsible for. It’s the law we’re talking about here. In every state except Texas, employers are required to protect their employees through workers’ compensation insurance. That means if you’re injured on the job, you’re entitled to certain benefits as compensation for your lost wages. Workers’ comp is essentially an insurance cover that your employer pays to cover for these costs. So it’s the insurance company, and not your employer, that pays out these benefits. Workers comp laws have been around for a little over 100 years. Initially fueled by the troubles of industrial workers, they now protect all kinds of employees. Depending on the severity of your injuries, you’ll probably need a personal injury attorney to help you assess your claim’s worth. If you’ve recently suffered a work-related injury, it helps to know what workers comp is all about. You wouldn’t want the insurance company to take advantage of your ignorance now, would you? To avoid any penalties, it’s important that your employer submits your claim to the insurance company as soon as possible. Remember that the insurance carrier will need to carry out their own investigations on the claim, so it’s best to report the incident while it’s fresh. There are, however, incidents not covered by workers’ comp. For example, self-inflicted injuries, or injuries you sustain while you’re voluntarily involved in some off-duty activity. This means you don’t have free reign to injure yourself on purpose. You also stand to miss out on workers’ comp if it is established that you sustained injuries while under the influence of alcohol or other drugs. While recovering from your injury, you should be receiving a portion of your income. This compensation will be paid for as long as you’re in recovery and unable to report to work. Most cases will fall under temporary partial disability (TPD), and eligibility must be determined and reported by a doctor. Temporary permanent disability (TPD) applies if you’ve suffered debilitating injuries. Besides lost wages, workers’ comp also covers all reasonable medical expenses you’ll incur. It also covers vocational retraining and rehabilitation (if necessary) and any other benefits relevant to your specific case. Keep in mind that you’re entitled to these benefits even if you weren’t at your workplace when you sustained the injury. As long as you were performing your job-related duties, that is. As an example, take a traveling salesman who gets injured at the hotel they’re staying in while on work duty. Or a slip and fall incident while meeting a client at a restaurant. If whatever you’re doing falls under the scope of your job duties, then you are entitled to compensation. 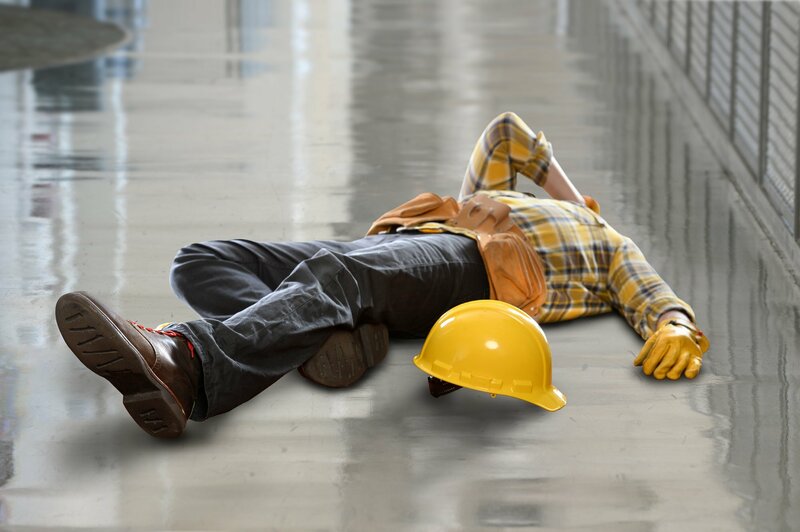 As a trade-off for the workers’ comp insurance coverage that protects you, the law states that you cannot sue your employer for any work injury or illness. The insurer takes care of your benefits, and that’s about it. The only instance when you can sue your employer is if they intentionally hurt you or was being reckless. If you believe this to be the case, be sure to report it to your injury lawyer. While laws vary from state to state, in most places, a business must get workers’ comp insurance even if it’s just one employee. If you work as a personal assistant for a solo practitioner, for example, you should be covered. However, depending on state laws, workers’ comp may exclude certain types of workers. For example, volunteers, seasonal help, and farmers. The insurance industry claims that many workers’ comp claims are fraudulent. While the media has helped fuel the speculation, studies show that only 1-2% are fraudulent. According to a PBS article, the insurance industry’s reported figures are grossly inflated. There’s a common perception that employers have no other responsibilities after workers comp is paid. However, the employer should maintain close contact with the employee and provide any necessary support. For example, by instituting a return to work program, an injured employee can recover faster and become a productive member once again. If you’re the victim of a recent work-related injury, you might be wondering whether you should hire a workers’ comp attorney. Well, let’s say it all depends on a how severe your injury is, and how complex your case is likely to be. But even in such cases that look quite simple, you might still want to contact a workers’ comp lawyer for a free consultation. The attorney will assess the facts of the case to help determine whether you’ll be fine handling the case on your own. Your employer or insurer denies your claim. This happens quite frequently, and it’s unfortunate that many workers do not appeal. The settlement offer is not enough to cover lost wages and medical bills. If you believe the settlement they’re offering isn’t good enough, do not hesitate to contact an attorney. Your boss/employer threatens you for filing a workers’ compensation claim. Your employer should not fire you or demote you for filing a claim. Get a workers’ comp attorney to defend your rights. You’ve suffered severe injuries or illness that limits your ability to perform your job like before. Your case is complex if you’ve suffered either total or partial permanent disability. Such cases can be expensive for insurers, who’ll do everything to avoid paying your rightful compensation. You can find out about your lawyer’s reputation through word of mouth, client testimonials, or online reviews on an independent website. Try a specific search for those who specialize in your type of case. If people are saying good things about a certain attorney, the higher the likelihood they’re actually good. Experience is the most dependable indicators of success. If an attorney has been at it for years, it means they’ve dealt with many such cases before. Their experience is even more invaluable if they have successfully handled other workers’ comp cases in the past. A good lawyer should be honest about their track record. They shouldn’t hesitate to give you a list of references that you can call to find out how they fared in previous cases. If your prospective lawyer is reluctant to provide this information, how then could you entrust them with your case? The good news is that hiring a personal injury attorney should come at no initial cost. Most attorneys will work on such cases on a contingency basis. That means they’ll get a cut of your compensation award after a settlement or successful court case. While nearly every employee is covered by workers’ compensation laws, not enough of them know how it works. Hopefully, the information we provide in this guide should help change that. Remember, except for the simplest of cases, it’s always a good idea to reach out to an attorney. Are you the victim of a work injury or illness of any kind? With our expertise and experience in handling personal injury claims, you can be sure we’ll fight on your behalf for the compensation you deserve. Do not suffer in silence. Do not let your employer or the insurer take advantage of you. Contact us today for a free case review!